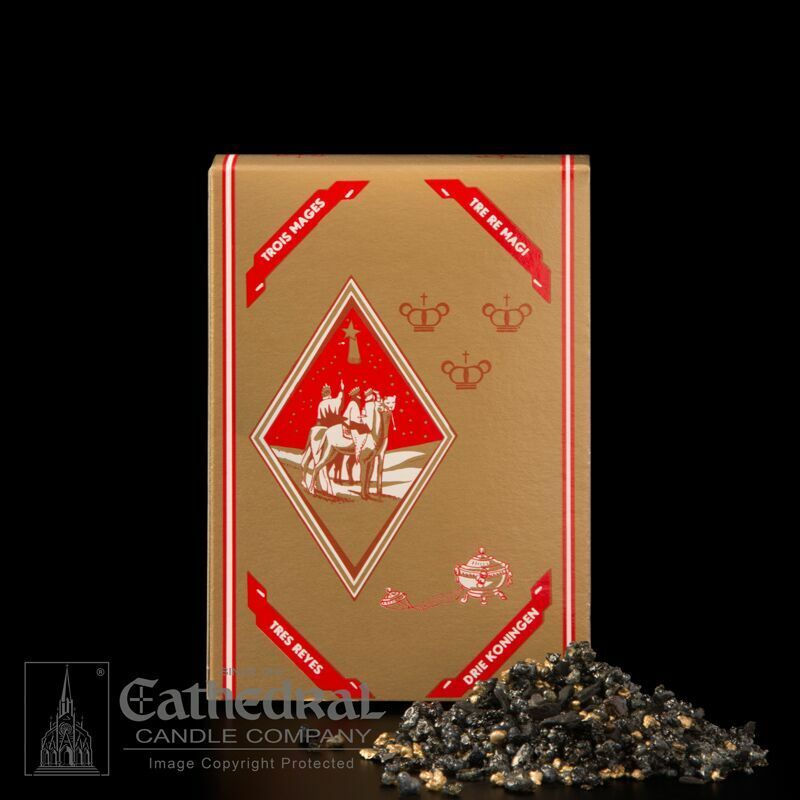 INCENSE THREE KINGS PONTIFICAL - Black & gold colored mixture as preferred by the Vatican. Three Kings is the world leader incense supplier. Wherever you are in the world you will find them in churches. All Three King incense mixtures are made of the finest natural incense resins like Boswellia papyrifera, Commiphora Myrrha and Boswellia sacra. These resins are colored and washed in essential oils. To give extra hints of smell, sandalwood, styrax, dammar and copal are added to blends. The finishing touch are the flower blossoms and spices that are also part of the Three Kings recipes. Three Kings incense is made of the best natural resins from all over the world. The main ingredient of incense is Olibanum or Frankincense. Olibanum is taken from the Boswellia tree that grows on the Eastern tip of Africa. The milky juice from the tree dries out into grains. Bark residue can cause a light-yellow color. The grains are washed in natural oil and can be mixed with other incense types, resins and substances such as sandalwood, myrrh, benjoin and lavender.